Posted by Kim May on April 1, 2019 under DB2 Education, DB2 for Linux Unix Windows, DB2 for z/OS, International DB2 Users Group (IDUG), TFG Blog. Tags: DB2. The buildup and push for the Think Conference was manic. The “EXCITEMENT! !” seemed to come from a small group of IBM marketing folks and the focus on attendance numbers (tough to confirm or deny) was odd. Customers and Business Partners focused on the data management component of the Analytics portfolio, and with a limited budget to attend conferences, seem to have shifted from the IOD/Insight/Think Conference to the International Db2 Users Group (IDUG) conferences. IDUG North America is held in the Spring, this year in Charlotte, South Carolina, from June 2 – 6. The conference focus is education for IBM database technologies solutions. Artificial Intelligence and Machine Learning aren’t the dominating topics, and session selections and content are managed by IDUG volunteers. IDUG NA 2019 costs $2165 to attend, with a $300 early bird discount available until April 22nd. Having IDUG to counterbalance Think makes sense to me. Also, the IDUG community is very user friendly. There are several discount options to make attendance affordable, and as has been the case at most technical conferences, presenters receive a free pass. Now – the wild card. IBM, through their marketing collaboration with IDG, has scheduled another conference, this one called IBM Data and AI Forum, for Miami, Florida, from October 21 – 24. This event is the former IBM Analytics University, which I believe evolved from the Db2 Technical Conference. It seems to be IBM’s attempt to cross pollinate Db2 users with AI, not necessarily a logical partnership in my opinion, as the potential benefits of AI and Machine Learning seem to be in the conceptual sales stage, being pitched to senior management, while the technical teams running data centers aren’t setting the analytics vision. The conference pass cost is far lower than IDUG or Think, at $1295 for a full price pass and $1095 with the early bird discount through July 31. The call for speakers is open and I understand selected speakers will be compensated for presenting. Posted by Kim May on February 12, 2019 under Baltimore Washington DB2 Users Group, DB2 for z/OS, IBM Champion, International DB2 Users Group (IDUG), TFG Blog. The Baltimore/Washington Db2 Users Group will be holding our annual education session on Wednesday, March 20, 2019, at the BWI Hilton. Please note the date is the third Wednesday in March, not the second, when meetings are typically held, as several members will be attending SHARE. As a very special 2019 offer, the group will have two session tracks and two terrific presenters. You are invited to sign up for one of the two tracks. The cost per attendee is $100 and includes session materials and a sit down lunch with the entire group. For DBA’s IBM’s Robert Catterall will present, and for developers, Tony Andrews from Themis. Abstracts for their day-long sessions are below. Leveraging large z/OS LPAR memory resources for improved Db2 application performance. Key metrics for Db2 subsystem and application performance monitoring and tuning. DDF application architecture and workload management. Modern Db2 for z/OS physical database design. Robert Catterall is an IBM Senior Consulting Db2 for z/OS specialist. He started his IT career with IBM in 1982, and worked throughout the 1990s as a member of the Company’s Db2 for z/OS National Technical Support team. From 2000 to 2007, Robert worked as a database technology strategist for CheckFree (now part of Fiserv). After working for three years as an independent Db2 consultant, he rejoined IBM in 2010. Robert is a past President of the International Db2 Users Group (IDUG), and a member of IDUG’s Speakers Hall of Fame. He presents frequently at conferences and user group meetings, and blogs about Db2 for z/OS at http://robertsdb2blog.blogspot.com/. Are you still coding and designing SQL from the 90’s? The last several releases of Db2 have brought quality new features that can be used to improve both functionality and performance for today’s complex applications. This event will help catch you up! Tony Andrews has more than 25 years’ experience in the development of relational database applications. Most of this time, he has provided development and consulting services to Fortune 500 companies and government agencies. Tony has written literally thousands of queries and programs during his development years, and has also served as a database analyst. For the last 10 years, Tony has been splitting his time between performance and tuning consulting engagements along with training. His main focus is to teach today’s developers the ways of RDBMS application design, development and SQL programming — always with a special emphasis on improving performance. He is a current IBM Champion, and regular speaker at many regional user groups, IDUG NA, and IDUG EMEA. He is also the author of a book for developers titled ‘DB2 SQL Tuning Tips for z/OS Developers’. *the Baltimore/Washington Db2 Users Group is a non-profit organization funding a portion of this meeting. If registration levels exceed our funds the per attendee cost will need to be raised to offset expenses. Posted by Kim May on November 29, 2018 under Baltimore Washington DB2 Users Group, DB2 Education, DB2 for Linux Unix Windows, DB2 for z/OS, DB2 Stars, International DB2 Users Group (IDUG), TFG Blog. Coming up in December are two (yes 2, TWO!!) Db2 Users Group events in the Baltimore-Washington-NoVA area: first, the Mid-Atlantic Db2 LUW group is scheduled to meet December 6th in Bethesda. This meeting is sponsored by IBM, there is no fee to attend, and features two sessions on Data Server Manager with DSM Offering Manager Peter Kohlmann, and a session on the future of Db2 by Dr. Jon Lind, the Db2 Product Offering Manager. This meeting is being held in conjunction with Washington Area Informix Users Group, and we are looking forward to sharing lunch and networking with their session attendees. Registration is required; register HERE. Details on the Mid-Atlantic Db2 sessions and the registration link (registration is required) are below; information on the Washington Informix sessions is HERE. The following week, the Baltimore/Washington Db2 Users Group will host our quarterly meeting Wednesday, December 12th at the BWI Hilton. The day’s sessions include presentations by IBM’s Master Inventor Terry Purcell, along with 3 (yes, 3!) user presentations, from Steve Cricchi, and NFCU’s Joe Huang and Joe Watson. Details on the sessions and agenda are below, and attached. Registration is required; register HERE. If you are in the area, please join us. And if you are going to join us, bring a friend! Learn about the latest trends, directions and updates to the full line of Data Management Consoles for the Db2 family of offerings from ground to cloud. Where are we today, what is our vision and how are we getting there. Go on a deep dive of how to monitor the overall performance of your Db2 family database. Learn how to dive deeply into the three levels of statement monitoring and choose which to use for your specific challenge. And learn how to use Db2 Workloads to surgically decompose your database performance by application and by user to see exactly who is doing what. In this session attendees will gain an understanding of IBM’s Db2 product roadmap. IBM’s current strategy and plans for Db2 include increased functionality and support for a variety of deployment options – on premise, cloud, and several “mix and match” offerings. Presented by IBM Db2 Product Offering Manager Dr. Jon Lind, you will gain an understanding of IBM’s plans for the future of Db2. Whether your organization has been running Db2 for LUW for years or weeks, or if you are just beginning to consider Db2, this session will provide an excellent summary of what’s available today and what IBM’s investment in Db2 will deliver in the future. Peter Kohlmann has been a member of the IBM database and Analytics development and product management teams since Version 2 of Db2 for Linux, UNIX and Windows. He is currently an IBM Offering Manager with a focus on tools for database and data services and IBM Data Server Manager used for the Db2 family. He was one of the original developers and designers of the Db2 Control Center and also created the Technology Explorer for IBM Db2 open source project. As the Db2 Release Manager he oversaw the delivery of Db2 for LUW 10.1 and 10.5 and he also directed the new technology adoption program for Db2 pureScale Version 9.8. Jon Lind is the Db2 for Linux, UNIX and Windows Product Manager, supporting one of the largest software products at IBM. Dr. Lind’s responsibilities include managing, positioning, marketing, and deploying Db2. He works with customers, internal product teams and key partners to drive product enhancements as well as the IBM marketing, sales and channel teams to determine the various routes to market for successful product launch and go-to-market campaigns. Prior to this role he held various technical positions in the IBM Toronto Lab and IBM Beaverton Lab, from technical development, project management, technical support, to management. With his solid technical background and broad experience in many areas of enterprise software business, Dr. Lind has assisted customers across all geographic areas at all levels – from development to C-level executives. Docker & Informix – What can Docker do for you? Understand what Docker is, how it works. How to create an Informix Docker image and best practices. Docker containerization is the first step into using Kubernetes as a fault tolerant clustering service. Darin began working for Informix in 1994 and continues to work for IBM now. He has worked in the openlink support group, and the Down Systems Group and has been with the APD (RT) group. Darin has presented at many IIUG events as well as many internal classes to IBM support. Informix roadmap – Where do we go from here? What might we expect from Informix in 5 years? Join IBM to learn about the Informix roadmap and what the team is working on. Information about changes and plans for the Informix licensing model from HCL. 10:30am – 11:45am Db2 12 and Continuous Delivery – What’s New from the Optimizer? Machine learning is now prevalent in our day to day activities as it helps us make better data driven decisions. Therefore, it makes sense to extend that same technology to help tune performance for Db2 for z/OS. Db2 AI for z/OS applies machine learning insights from your workload characteristics to empower the Db2 optimizer and find better access paths for SQL queries. This offering enables clients to see out-of-the-box CPU and elapsed time savings. Db2AI for z/OS embeds machine learning and IBM domain expertise to provide customized recommendations for performance tuning. Learn how Db2AI for z/OS applies IBM Machine Learning for z/OS to better optimize Db2 for z/OS performance. DB2 12 for z/OS has been announced and DB2 has embarked on Continuous Delivery for ongoing features. So what’s coming from the optimizer team regarding further performance enhancements? DB2 12 for z/OS had already delivered outstanding performance and scalability improvements from UNION ALL and outer join performance improvements, sort optimizations, improved predicate indexability and tighter integration of the Optimizer and RUNSTATS. This presentation will outline what was delivered and how future optimizer enhancements apply to continuous delivery. When concurrency is not needed for warehouse applications it is possible to use standard z/OS tools to load a Db2 Analytics Accelerator without sample programs or 3rd party tools. See the mechanics of how to do this for a cycle-driven process with a high degree of usability and easy job output management. How to implement the Db2 Profiles at your shop with real life use cases. The presentation will show you how to configure and activate a Db2 Profile. The components of PROFILE tables and the relationship between PROFILE and ATTRIBUTE table. The presentation will also introduce the Navy Federal Credit Union use cases such as: to control number of active DBAT threads, to control IDLE THREAD TIMEOUT, bind DISTRIBUTED packages using multiple COLLID and Simulate PROD environment in TEST to trick optimizer. Navy Federal Credit Union recently migrated DB2 to V12 from V11. The migration occurred ‘online’ where production workflow continued to process without interruption. This was a major achievement for increased system availability / less system downtime, and the first major software implementation of this type for NFC. This implementation also ranks among a very few number of organizations that have done online migration. This presentation will outline the basic concepts pertinent to the NFC DB2 system configuration that enabled online migration to be pursued, along with challenges that existed and the approaches to resolve them. Terry Purcell is a Senior Technical Staff Member with the IBM Silicon Valley Lab, where he is lead designer for the Db2 for z/OS Optimizer. Terry has 25 years of experience with Db2 in SQL Performance and optimization as a customer, consultant and Db2 developer. Terry is an IBM Master Inventor with more than 25 U.S. patents for database search Technology. Steve Cricchi has over 25 years of Db2 DBA experience starting with V1.3. He currently supports Db2 applications on V11 for a major financial organization. Joe Huang is a Certified Db2 DBA with 30 years of IT experience. During his career, Joe has held several job roles in Application Programming, Db2 z/OS system administration, IBM Mainframe System Architecture and Db2 z/OS Database Administration. Joe is an IBM Certified Db2 V11 Database Administrator and an IBM Certified Db2 V11 System Administrator. Joe plays Classic Guitar and he performs at a local 5 star rated restaurant in Northern Virginia. Joseph Watson is a Senior DB2 database administrator with Navy Federal Credit Union, with experience as database and system administration since version 1.3. Joe earned Master of Computer Science degree from Howard University; Certificate In Information Systems from George Washington University. Previous duties include DB2 administration, IMS programming, CICS programming, application consulting/training for EDS, Verizon, and consulting/training for IBM including government top secret security assignments. In a past life Joe was a science and math teacher for the MD Montgomery County school district. Posted by Kim May on October 19, 2018 under DB2 Education, DB2 for z/Linux, DB2 for z/OS, DB2 Migrations, International DB2 Users Group (IDUG), TFG Blog. Last year Frank and I chose not to attend Think in Las Vegas. While I missed the networking (socializing/fun) part of conference, it didn’t feel like a “must attend” event, as the Information on Demand and Insight Conferences had in the past. And, since we didn’t go to Think, Frank and I instead attended IDUG Europe in Lisbon, which was awesome. Lisbon was stunningly beautiful, the people at the conference were great fun and the technical discussions were focused on Db2’s future, which is of course important to The Fillmore Group. First, my grudging acceptance of the shrinking role data management is playing in IBM’s strategy has me curious about what the future holds. As I write this Bain Capital has recently acquired Rocket Software, and the rumor mill is churning with theories on what will happen to Db2 for z/OS and the mainframe. Do I expect a great announcement at Think, or insight into IBM’s strategy that will shape our business plans? No. But I think the conversation – with customers and colleagues – will help guide The Fillmore Group’s focus over the next few years. Second, I find IBM listens to Business Partners less and less each year. The Partnerworld program has always been a source of frustration to me, as the rules and guidelines seem thinly disguised to hide IBM’s intention to work with a handful of partners, and exclude the rest. I recognize The Fillmore Group IS a small partner, but one with deep technical skills and a lot of history with some of IBM’s key customers, so I have often attended conferences almost solely for the opportunity to meet with IBM management about ways to improve Partnerworld. The concepts I pitched – crazy concepts like accountability, transparency, and support for partners teaming – were often given 15 minutes and a, “gee it would be nice if we could”. However, once in a while I felt my ideas were heard and given consideration. 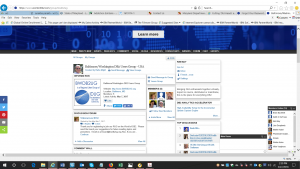 Posted by Kim May on May 7, 2018 under Baltimore Washington DB2 Users Group, DB2 Education, DB2 for Linux Unix Windows, DB2 for z/OS, IDAA, International DB2 Users Group (IDUG), TFG Blog. Db2 for z/OS customers, while not excited about growing workloads on System z, appear to be more confident their organizations will maintain what’s in place and invest in mainframe infrastructure when and where it makes sense. I expected to hear the “we’re getting off the mainframe in 3 years” comment and did not; instead I was encouraged to see existing IDAA customers expressing interest in the new “Sailfish” model (V7.1). Shameless plug: if you were one of these people, please join us for our free IDAA class in June. For Db2 for LUW, the times are changing, and hopefully for the better. Jon Lind’s Technical Advisory Board meeting offered participants a chance to express their concerns with the ecosystem, marketing, competitiveness, enablement, and I could go on, list of challenges around keeping Db2 for LUW relevant in the RDBMS market. Jon Lind’s team has a refreshing willingness to listen, and the opportunity to revive Db2 for LUW. Keep an eye on this team: they have a long list of requests, and spent much of the conference talking with end users and partners about what they can do to help. I wish them great success!! Kudos to the IDUG team for a fabulous location and super well organized event. I wish we could have had some competitors join us for the community dinner to check out the enthusiasm (and noise level!) in the dining room. There was ENERGY to spare! And special thanks to IBM’s Surekha Parekh and Jim Reed for hosting such a great event at the conference and for all their support. One-name Rocket woman Saghi also deserves a shout out for gathering the local user group leaders for lunch and extending IDUG’s support to our Db2 communities. The Db2 for z/OS RUGs are incredibly strong and doing their best to ensure LUW users have access to similar community resources. Win a *FREE* Pass to IDUG North America! Posted by Kim May on April 4, 2018 under Baltimore Washington DB2 Users Group, International DB2 Users Group (IDUG), TFG Blog. 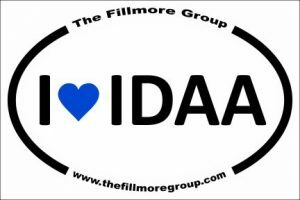 All Baltimore/Washington Db2 Users Group Members are invited to participate in a drawing for a *free* IDUG pass – a $2195 value, thanks to IBM and the World of Db2. The annual International Db2 Users Group (IDUG) North America conference is scheduled for April 29th – May 3rd in Philadelphia, PA.
To participate in the raffle you must register as a member of the World of Db2 and join the Baltimore/Washington Db2 Users Group on the World of Db2. You must also agree to be part of an IBM promotion announcing free pass winners. This will include uploading a photo of yourself on the World of Db2. To join our group on the World of Db2 click on “All Groups” and select the Baltimore/Washington Db2 Users Group. Once you’ve completed the process to join us please send an email to the board letting us know you’ve joined: board@bwdb2ug.org. The winner will be selected at our board meeting on April 12th. Please note: Government and government-owned entity employees are ineligible, as are IBM Business Partners and IBM employees. I hope to see you on the World of Db2 and at IDUG in Philadelphia!